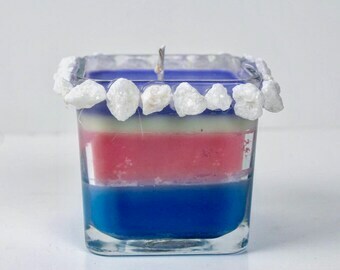 100% Handcrafted, artisan, unique, soy wax candles. These candles are beautiful works of art. The design incorporates scallop shells (my favorite seashell shape!) onto the sides of the jars, and as little, separate candles, with soy wax poured into the shells around a wick. So creative! Lisa is a wonderful and caring artist and merchant. I will definitely be back!